Rolling of turf is performed at various intervals primarily to help smooth putting surfaces and increase green speed for daily play or tournaments. Periodic rolling of putting surfaces following mowing can increase putting speeds, allowing for improved ball roll without lowering HOC. By increasing green speed, rolling may reduce mowing frequency and thus the stress of mowing. It can also be used to smooth the surface and remove dew in late or early season periods when little shoot growth is occurring. 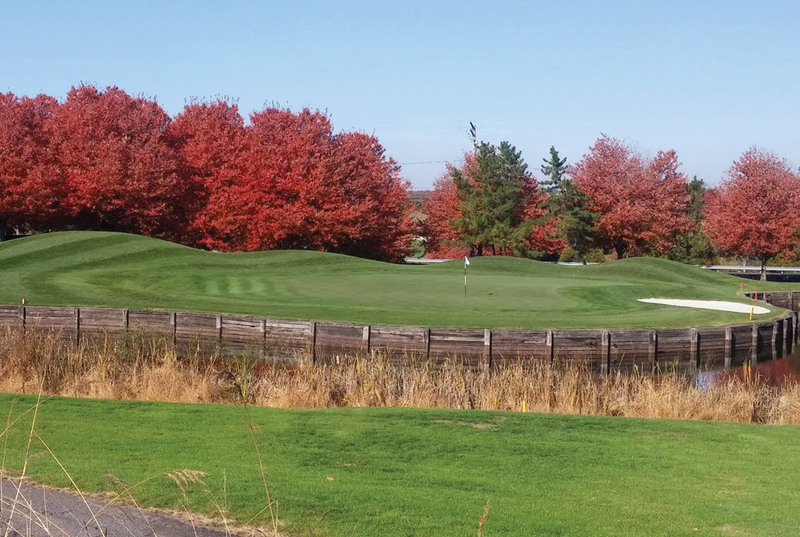 In some instances, “target” rolling of greens will significantly reduce fuel emissions and labor while still providing an ideal putting surface near the hole where it is most beneficial to the golfer. 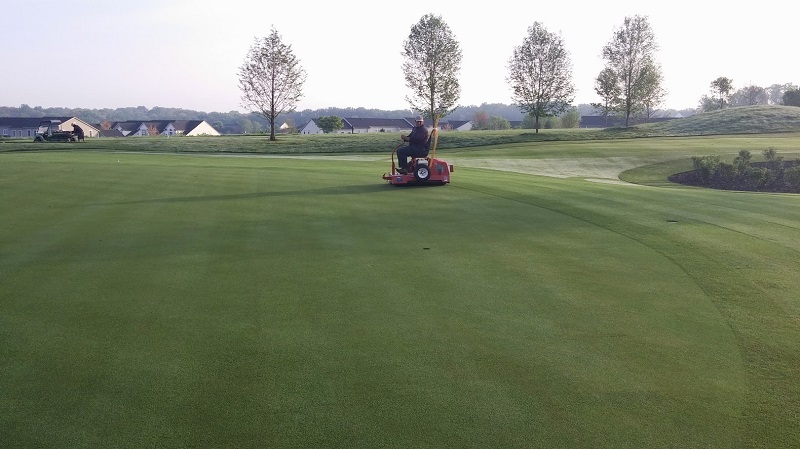 While most common in the preparation of golf course greens, rolling should also be considered (and is just recently beginning to be more common) on fairways or tees to reduce the occurrence of some turf diseases. As with all cultural practices, rolling should be done under the appropriate field conditions in order to reduce stress. Adequate soil moisture (but not saturation) reduces the potential for compaction. Utilize rolling for intensely managed turfgrass to reduce stress, mowing needs, and disease pressure. To reduce the potential for compaction, do not roll saturated soils. To minimize potential for compaction caused by rolling, use lightweight rollers. Consider rolling on fairways or tees as well as greens. Rolling of turf smooths putting surfaces and increases green speed for daily play or tournaments and should also be considered on fairways or tees to reduce the occurrence of some turf diseases. Photo credit: Chris Harriman.